​The main construction phase of the new three-storey court complex of the National Judiciary at Waigani has begun. From an idea that came about more than 20 years ago during the time of Chief Justice Sir Arnold Amet, the foundation phase of the new building commenced on Friday afternoon with a small but significant ceremony for the judiciary. Chief Justice Sir Salamo Injia officiated the ground breaking ceremony signifying the commencement of the main construction phase valued at K427 million which will culminate three separate courts. Sir Salamo said the judiciary would like to see the building completed before the APEC meet so it can be commissioned during the event. He also said the building has to be constructed on budget and in time because the judiciary has no powers to extend the allocation of funding. China Railway Construction began clearing the main construction area in March this year after the completion of the temporary court buildings. Managing Director Sean Lau assured the Chief Justice and the Judiciary of the court complex completion. “CRC is committed to ensure that this project is built to the highest standard, and is a reflection of Chief Justice’s vision and plan for a 21st century court complex that will also complement the many reform taking place within the judiciary,” he said. Deputy Finance Secretary Dominic Ira on behalf of the Finance Secretary said the department will be there to support the procurement process and ensure the project comes to a conclusion. 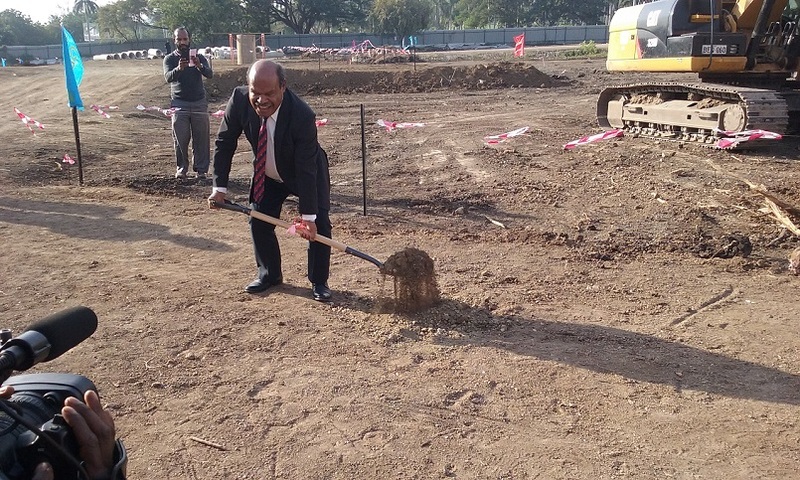 Initial work commenced at the Waigani Court complex in early 2015 following the opening of the Legal year. 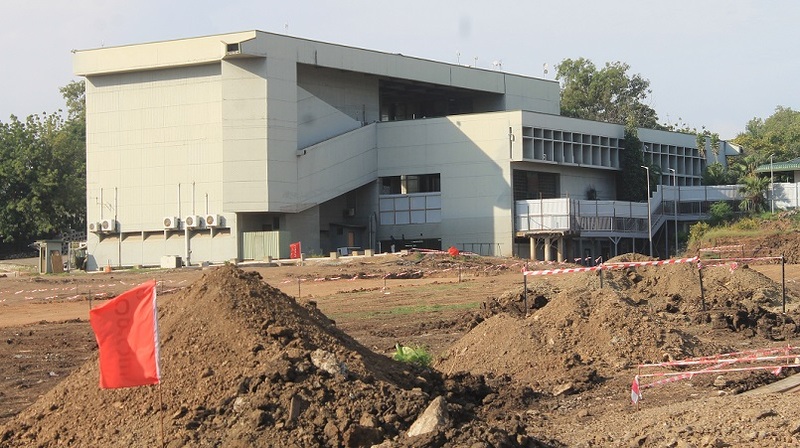 An initial K180 million was allocated for the first phase of the project in the 2015 budget. K427 million was allocated and give last July to the Judiciary for the foundation phase of the main building. The refurbishment of the existing court building is another phase of the project, subject to funding. Once completed, the complex will have 14 court rooms, Judges Chambers, detainee holding cells and an administration building which will accommodate court registries and other administrative functions. Chief Justice Sir Salamo Injia during the ground breaking ceremony.